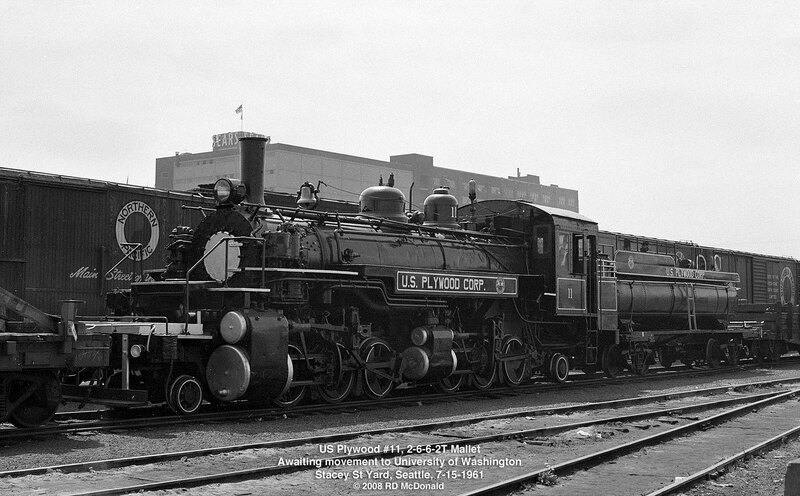 US Plywood #11, Stacy Street Yard, Seattle, July 15, 1961. I found this beauty in transit from Kosmos, Washington to her new home at the University of Washington. She served as a static display near the College of Forestry from 1961 to 1973. Originally built for Ostrander Railway & Timber Company, which operated from about 1892 through 1940. Ostrander was located 3 miles northeast of Longview, just east of Interstate 5, housing the Ostrander Timber Company, with mill, store, and office. The post office was established in 1894 by Oliver Byerly, and operated out of the company store. The Northern Pacific Railway Company named the town in 1898 in honor of Dr. Nathaniel and Mrs. Eliza (Yates) Ostrander, who filed a Donation Land Claim there in 1852. 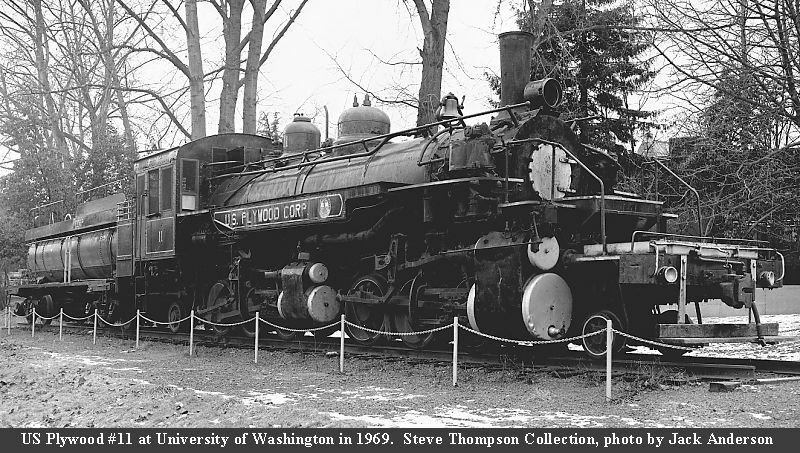 Apparently deemed a liability by the Universities loss control folk, she was loaned to the then known Puget Sound Railway Historical Society, and moved to Snoqualmie, Washington, in 1974. Washington State Parks retains ownership. 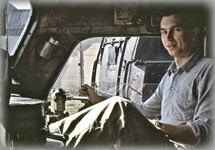 Here you will find her lengthy but well documented history, with dozens of photos. Railroad Stuff: Ostrander Railway & Timber Company #7, 2-6-6-2T, Baldwin Locomotive Works, built 1926, boiler number 59701. You can see her now at the Northwest Railway Museum.